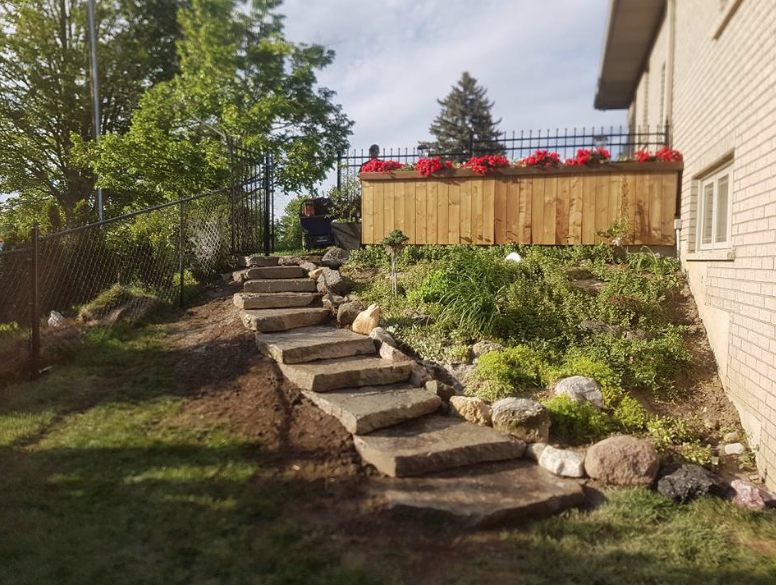 Our client was looking to add some hardscaping to his backyard. 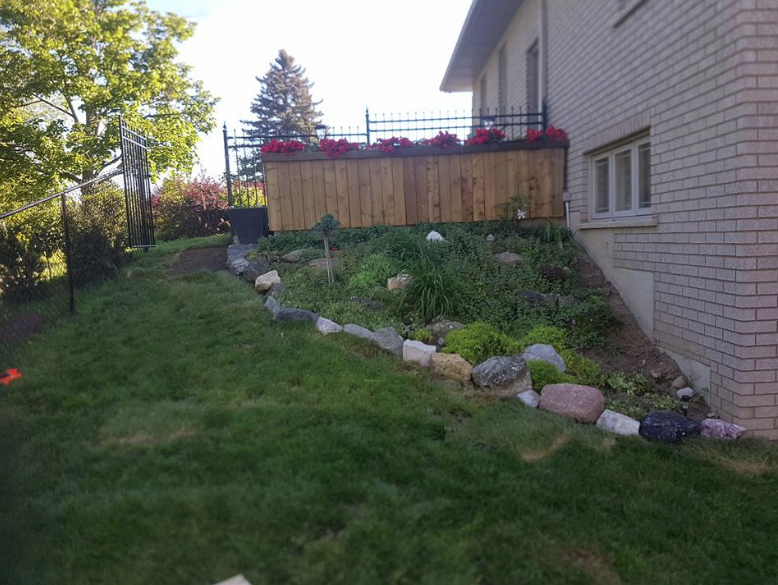 We were tasked to come up with a viable solution that not only was attractive to look at for the client but also functional enough to keep water away from the house. 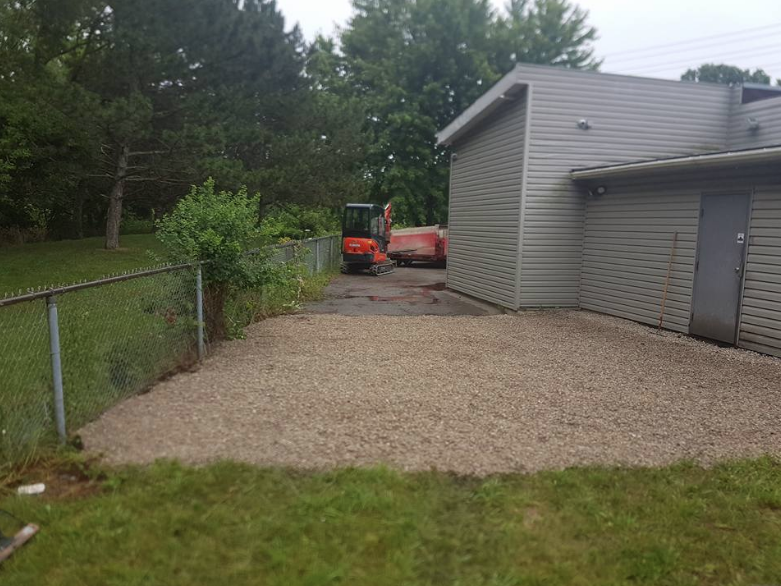 As you will see in the before and after photos, we accomplished what the client was looking for. The amount of rain we saw this year in south western Ontario created havoc throughout the region. 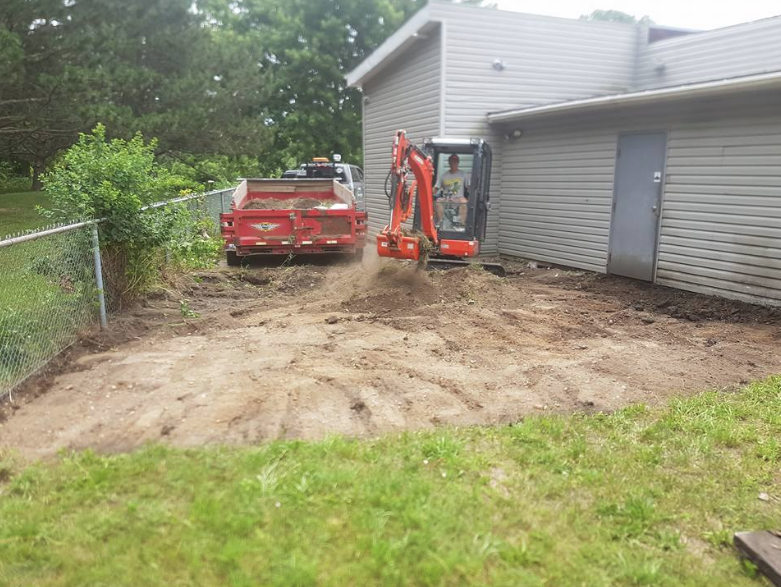 Our client needed a way to remove water off of the property and away from the building and adjacent land. 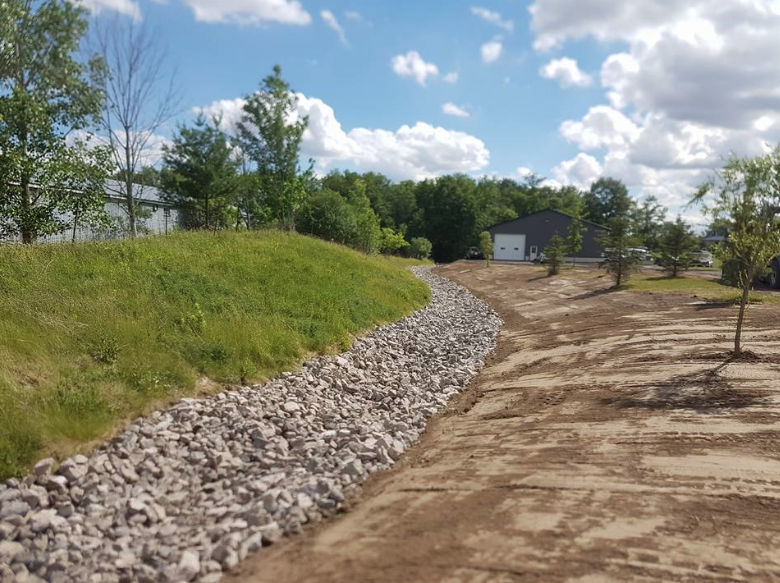 We created 800 feet of rock drainage that solved both problems. 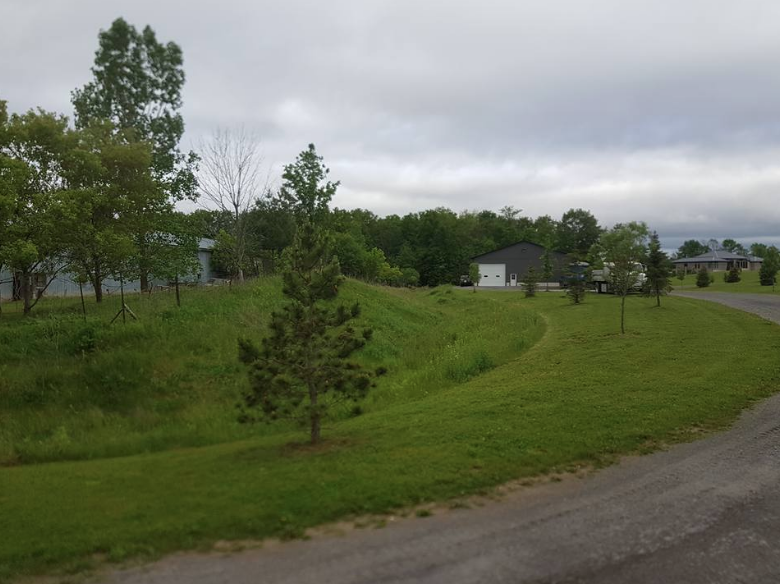 Whether you are getting a little bit of water or a lot of water on your property you need to fix the problem sooner than later. 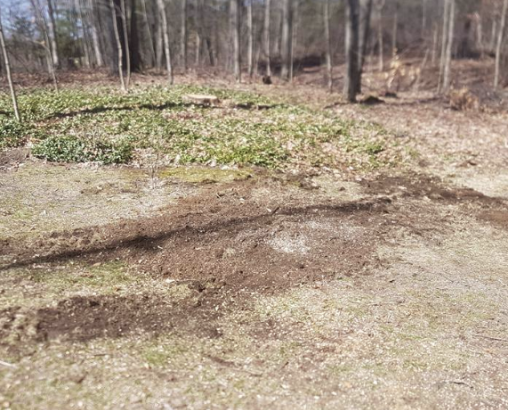 Here we dug out and removed topsoil, added a bed of rocks to absorb the water which in turn will eliminate and puddles or mud that lingers around. Removing a tree is only half the battle. 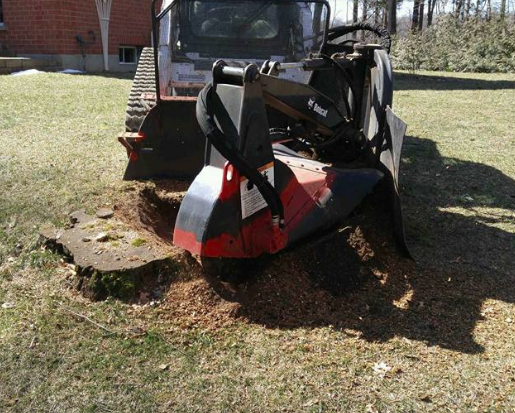 Once the tree is down and removed you now have to remove the stump. Not only will the look of your landscape improve, but a tripping hazard will be removed for you and your family.